This breaking news report will be updated throughout the day. 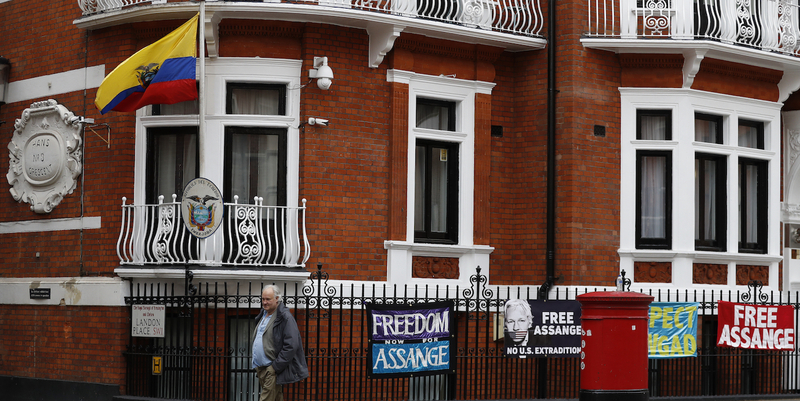 Daniel Sandford, a BBC journalist inside the courtroom for Assange’s appearance reported via Twitter that the Wikileaks founder pleaded “not guilty” to violating the terms of his bail in 2012 but refused to give evidence. My colleague Glenn Greenwald seconded the concerns expressed by the Guardian’s Ewen MacAskill, who was also part of the team that published the first Snowden disclosures, that Assange is apparently wanted in the U.S. for leaking documents that were also published by The Guardian, The New York Times, Der Spiegel and El Pais.